most of this is a re-post from october 2013, but it's relevant again. i typically post churchy things on the first sunday of the month. today is clearly not sunday, so why am i posting churchy things?!? 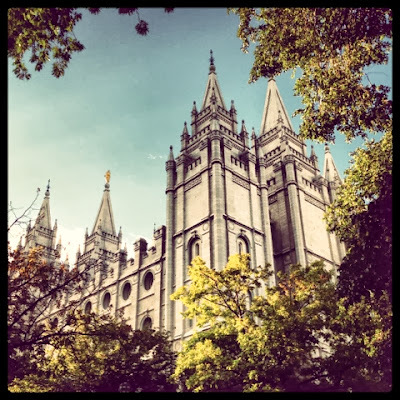 i'm posting a little early this month to talk about LDS General Conference. LDS General Conference happens twice a year (april and october). members of The Church of Jesus Christ of Latter-day Saints (any anyone else who is interested) do not attend standard worship services. instead we have the opportunity to hear from the leaders of the church including the prophet, president thomas s monson. there are 4 general sessions (2 on saturday and 2 on sunday) as well as specialized sessions for the men (saturday night) and women (last weekend). because the church headquarters are in utah, the sesions are broadcast on local tv. all sessions are also available on the internet at lds.org. so back to why am i posting churchy things early...i look forward to general conference weekend every 6 months. it gives me a chance to spend the weekend hearing and thinking about churchy things. it helps me focus on the important things in my life and gives me the strength and comfort to get me through the challenges of life. the leaders of the church often suggest listening to the sessions with questions in mind. it really is amazing how certain talks speak directly to me. it always reminds me of God's love for me and His hand in not only my life but the lives of everyone around me. i wanted to post a little early to extend an invitation to you to check out lds.org this weekend as well as #ldsconf on social media. the messages are uplifting and inspiring no matter your religion. as always, feel free to email me if you have any questions or want more information. kristen is talking about general conference too. conference is my favorite! i especially love bednard's talk!